The most at risk time of day for students is immediately after school, that time period is when most students initially begin being involved in illegal activity like vandalism, theft, violence, alcohol and drug use which can lead to a lifetime of consequences. 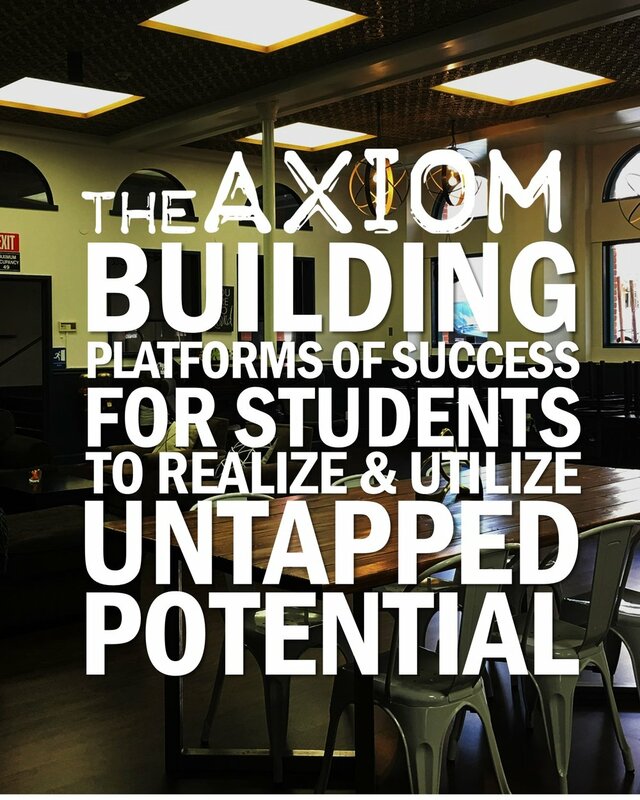 The Axiom provides a supervised space where students can relax, have fun, and build meaningful relationships with each other and caring adults. Axiom staff and volunteers invest in these students to provide guidance and opportunities to lead students to a more successful future, making our whole community stronger! The Axiom is open to all students Monday through Friday from 3 to 6pm.